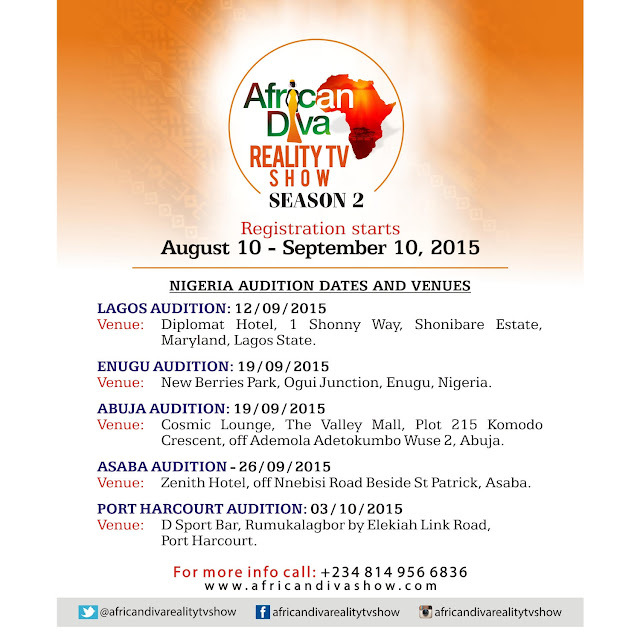 AUDITIONS FOR "AFRICAN DIVA" REALITY TV SHOW SEASON 2, BY ACTRESS CHIKA IKE, IS ON!!! Do you have what it takes to be the Next African Diva? Are you female between the Ages of 18 to 35? Do you have a great personality and can stay in a house with 22 girls for four weeks? Have you always wanted be a Celebrity? Now this is the show for you . The producer of Miss Teacher and All of me. 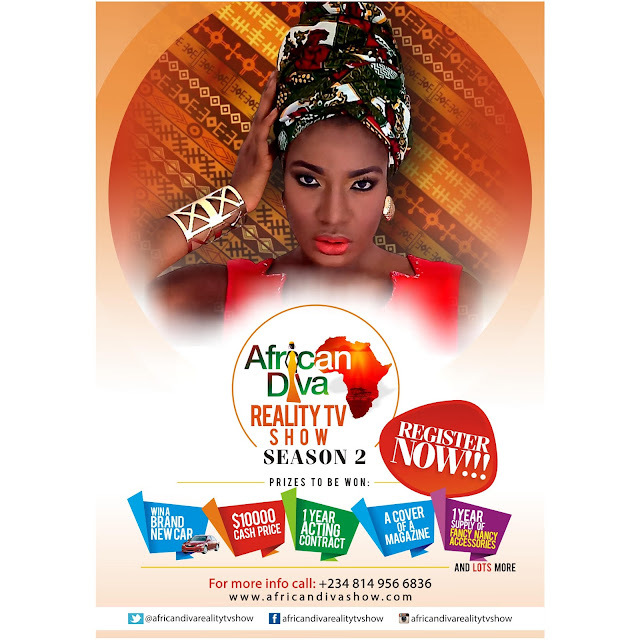 Chika Ike, will be auditioning for the season 2 of African Diva Reality Show. Acct name : African Diva Reality TV Shows Ltd. Send your name and teller number to +2348149566836. Bring your teller and 5 by 7 picture to your nearest Audition venue. 1 Year supply of Fancy Nancy Accessories. Lagos 12/09/2015 :Diplomat hotel 1 shonny way, shonibare Estate Maryland,Lagos State. Enugu 19/09/2015 :New Berries park ,Ogui Junction Enugu , Nigeria. PH 3/10/ 2015 :D Sport Bar Rumukalagbor by Elekiah link road port harcourt. * Excellent idea to me. Chika Ike na correct business lady. She sure knows how to make money and how to spend it. Mouth Watery prizes too. Moreover, I love Tv shows like this. Just like Americas Next Top Model. This is great,and i would like to be a part of your show but I'm from Liberia .